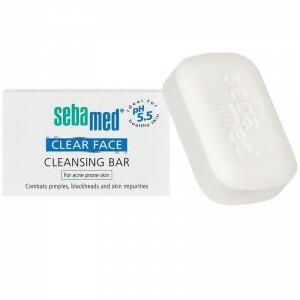 Sebamed Clear Face Cleansing Bar 100gm.The effective bar for pimples: soap-free cleansing bar for blemished skin tending towards acne, combats pimples, blackheads and skin impurities. 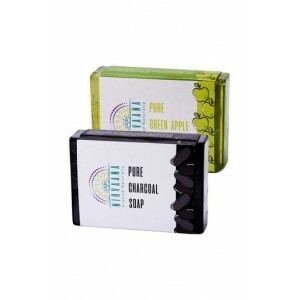 Effectively reduces pimples and blackheads in light forms of acne - Mild pore-deep cleansing removes excess sebum - Combats the proliferation of acne causing bacteria with the pH value of 5.5 - The natural moisturizer factors lecithin, vitamins and amino acids help rebalance the stressed skin - Vitamin E scavenges free-radicals - No preservatives. 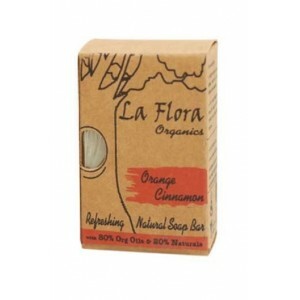 Well suited for skin cleansing in mild forms of acne. 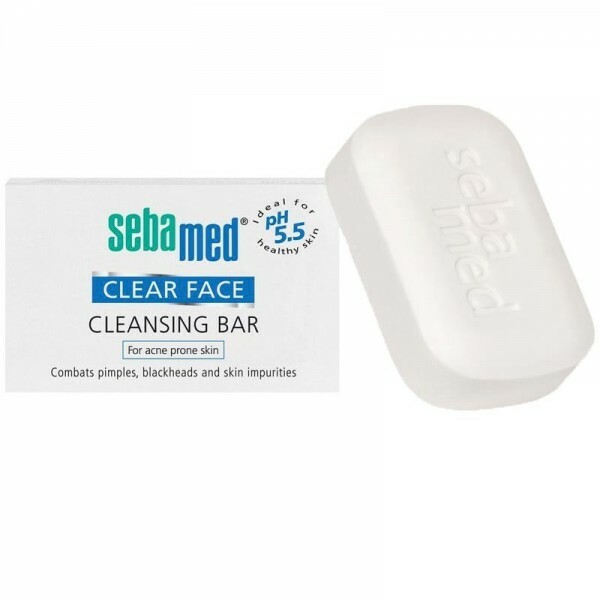 Product description: Sebamed Clear Face Cleansing Bar helps to fight pimples and is naturally effective against pimples, blackheads and skin impurities. 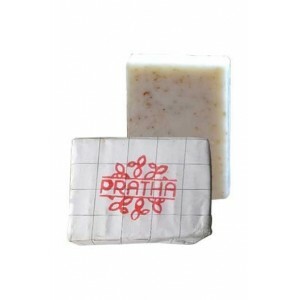 Gently cleanses deep into the pores, without harsh soap or alkali. Cares for skin with valuable amino acids, important vitamins and active moisturizers. Compatible with the skin's own pH value of 5.5, it stabilizes the skin's natural protective acid mantle, which biologically protects against acne bacteria, thus helping to prevent new pimples from forming. Prevents the formation of new pimples. Refines the complexion, provides a matt finish and prevents shine. 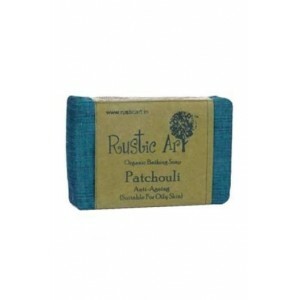 Soothes with Panthenol and encourages the regeneration of irritated and inflamed skin. The pH value of 5.5 stabilizes the natural protective acid mantle. Has a particularly gentle cleansing action. Direction of use: For everyday use. 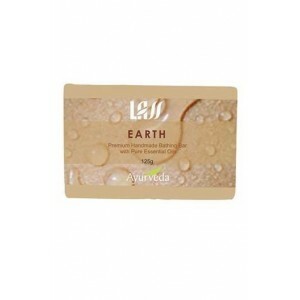 Well suited for skin cleansing in mild forms of acne. Caution: Not suitable for children under 3 years. 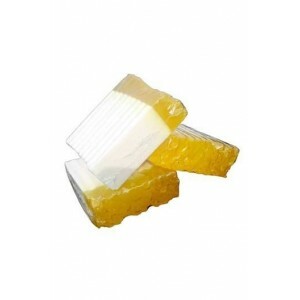 Very nice soap for acne pore skin doesn’t dry the skin out. 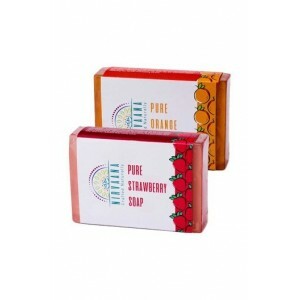 After using the soap for the last month all my irritation and itchiness has gone. 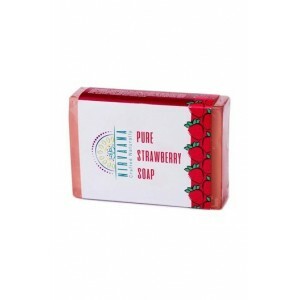 A GENTLE CLEANSER, WITH MOISTURIZING PROPERTIES. Thanks to sebamed for providing such a nice cleansing bar. 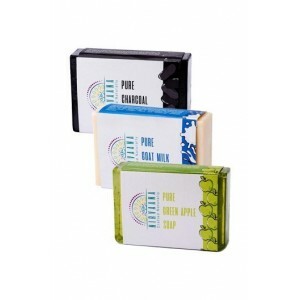 Best soap for acne It removes blackheads & gives pimple free skin. 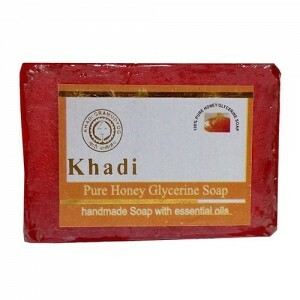 Good for skin it helps to remove acne. Suits my oily acne prons skin. It doesn't completely prevent acne but definitely helps in reducing it. 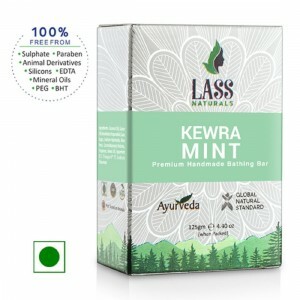 i bought this product at bulk quantity because i have never seen any website which is giving such huge discount on sebamed products..
Nice cleansing bar it helps to reduce acne and pimples, i like this product. 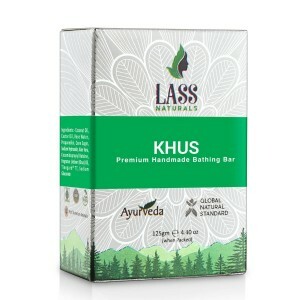 if you have the acne prone skin then you have to include this soap in your daily skin care. it will help you out to reduce acne along with acne scars. 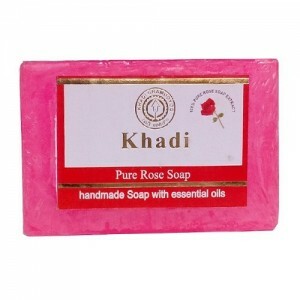 Khadi Rose Water Soap. 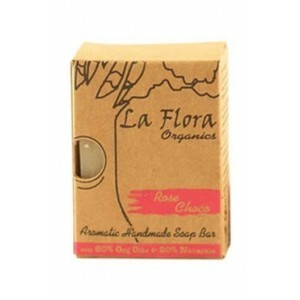 The pure rose soap is useful for all types of skin, it keeps your skin pH balanced, making your skin soft, moist and glowing.